If there is one topic people tend to get reliably confused about, it is humidity. Here in the Ontario area, the confusion is becoming more palpable daily as the effects of planet-wide warming trends generate odd seasonal weather patterns, like last summer’s “heat dome” and “crop sweat." Luckily, it is still winter at the moment, so those record-breaking humidity levels won’t return to drench us anytime soon. Then again, right now we have the opposite problem to deal with. With winter humidity levels rarely exceeding 25 percent, our skin and sinuses may feel rather raw. In summer, you are dripping with moisture—literally. And in winter, you are parched like you’ve just gone hiking in the desert… for about 5 months. Is there anything you can do to even things out so you can stay comfortable and healthy all year long? The good news is, YES there is! In this post, we will de-mystify humidity and teach you how to balance your indoor air for optimal humidity levels year-round. The Canadian Lung Association recommends that you try to maintain your indoor humidity levels between 30 and 60 percent regardless of the season. This can be an interesting challenge to tackle depending on what is going on inside your space. For instance, inside, if your windows fog over with condensation during winter, this can be an indication that your indoor humidity is too high. If your fogged-up windows start to drip, you can take this as a guarantee. And in summer, when indoor air humidity stretches above around 60 percent, the most common early warning sign is odour. Musty, stale, “grassy,” or dank smells can indicate that mould and mildew have begun to set in where moisture collects, usually in basements, bathrooms, utility rooms, and other traditionally higher-humidity indoor rooms. So your mission, should you choose to accept it, is to maintain indoor air humidity levels between 30 and 60 percent at all times during the year. In winter, as we mention here, the issue is more commonly a lack of humidity rather than too much humidity. This is very poor timing, since overly dry air can cause overly dry sinuses, and dry sinuses, in turn, can cause increased susceptibility to airborne viruses and germs (such as those that circulate so plentifully during winter’s traditional cold and flu season). Our recommendation is simple: bring in a humidifier! Happily, you have two choices in how you can generate some humidity in your indoor air. This can be a great choice if most family members are comfortable but someone in the family has allergies or asthma and the dry air is triggering discomfort. A room humidifier is economical and can be moved from room to room as needed. The best time to use a portable humidifier is at night when that person is in their room sleeping for several continuous hours. If the air is too dry throughout your home and everyone is suffering because of it, the easiest and most cost-effective solution is to install a whole-home humidifier that benefits each of you equally. Bypass flow-through whole-home humidifier. This type connects to your furnace directly to even out the humidity and moisture content of your indoor air housewide. Steam humidifier. This type simply injects humid steam into the airstream generated by your HVAC system. What About When Summer (& Sauna Season) Arrives? 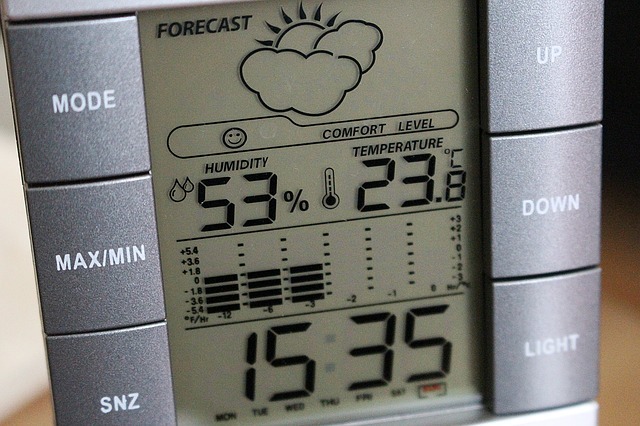 Of course, weather patterns being what they are these days, the moment you get your cold season indoor air humidity levels fixed just so, the weather will decide to change things up yet again. As the outdoor air temperatures warm up, the air naturally gets moister. By the time summer hits in earnest, the air is so humid it can feel stifling, and your indoor air can be equally quick to follow suit. You might notice book covers curling or the house itself having a more noticeable smell. Of course, the solution is to de-humidify your indoor air. If you have a basement in your home, you may already have a hard-working dehumidifier that keeps mould and mildew at bay during the summer months. To do the same for your living areas, one of the best and most affordable options out there today is called a heat recovery ventilator (sometimes called an energy recovery ventilator). It effortlessly removes excess moisture, toxins, and stale air from your living spaces. It ensures the circulating indoor air you are breathing is always clean, fresh, and seasonally moisture-balanced. It naturally and continually ventilates your indoor air so you don’t have to remember to turn on a fan or open a window or door to refresh your indoor air supply. A heat recovery ventilator is designed to work seamlessly with your HVAC system so it keeps your air well ventilated and moisture balanced all year long. Whether you're parched and getting sick often in the winter or everything feels like it’s wilting with humidity, Clean Air Solutions can help. We have options in all shapes and sizes to help keep the moisture content inside your living areas, attics, and basements healthy and habitable all year long. To schedule a free consultation, just give us a call at 905-544-2470 or contact us online. We look forward to hearing how we can help!